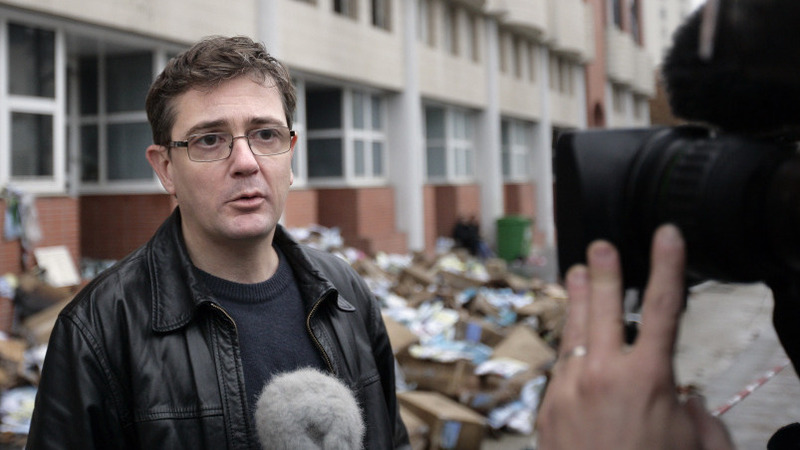 French Newspaper Firebombed After Satire Involving Prophet Muhammad : The Two-Way Charlie Hebdo's director calls those responsible "idiots who betray their own religion." The Paris offices of a French newsweekly that in its latest issue "invited" the Prophet Muhammad to be a guest editor and satirically wrote of what a "soft version" of Sharia law might be like, were burned early today. "A police official said the blaze broke out overnight at the offices of Charlie Hebdo weekly, and the exact cause remains unclear. No injuries were reported. The official spoke on condition of anonymity because an investigation into the fire is under way. Police cited a witness saying that someone was seen throwing two firebombs at the building." The wire service says that "the newspaper's director, who goes by the name Charb, said the fire was triggered by a Molotov cocktail. He blamed 'radical stupid people who don't know what Islam is,' for the apparent attack. 'I think that they are themselves unbelievers ... idiots who betray their own religion,' Charb said in an interview with Associated Press Television News." The Financial Times adds that "the newspaper's website was also attacked by hackers in what staff believe was a retaliation against the decision to publish the edition, which 'celebrated' the victory of an Islamist political party in the recent Tunisian elections and the promise from Libya's interim leader that Sharia law would be the the principal source of legislation in the country." Charlie Hebdo was also involved in the uproar over a Danish newspaper's publication in 2005 of cartoon images of Muhammad. The French newsweekly reprinted the images, which had sparked protests by Muslims around the world.